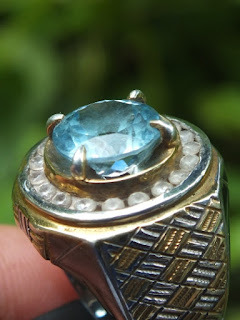 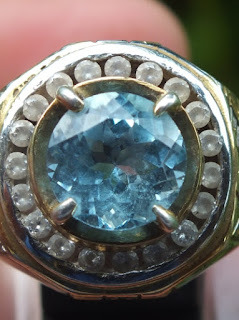 This is avery beautiful Natural Blue Topaz. This lustrous Topaz is already set on a good 17mm handmade silver ring. 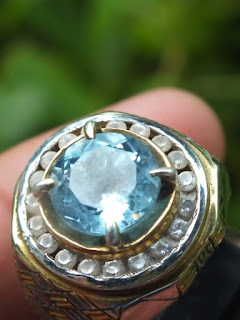 The color is light blue. 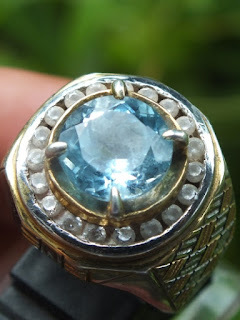 Most of Natural Blue Topaz are normally irradiated. 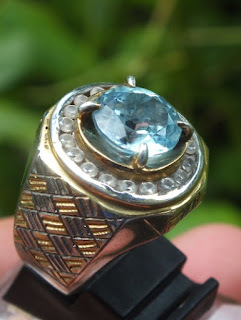 The size of the gems is (est) 10,1mm x 10,1mm x 6mm. Get thi beautiful Natural Light Blue Topaz now!